The disturbing investigation by ABC’s Four Corners unearthed disturbing activities within the Greyhound Racing industry, including the killing of live animals as part of training practices. EDO ACT echoes calls from the RSPCA and Animals Australia for an independent investigation into the regulatory failures within the greyhound racing industry. In simple terms, what is happening is cheating. Putting together animals, gambling and prize-purses is a toxic mix. The use of live animals in the blooding of greyhounds included the use of rabbits, piglets and native possums; killed or significantly wounded as a result of greyhounds being encouraged and trained to attack the animals. 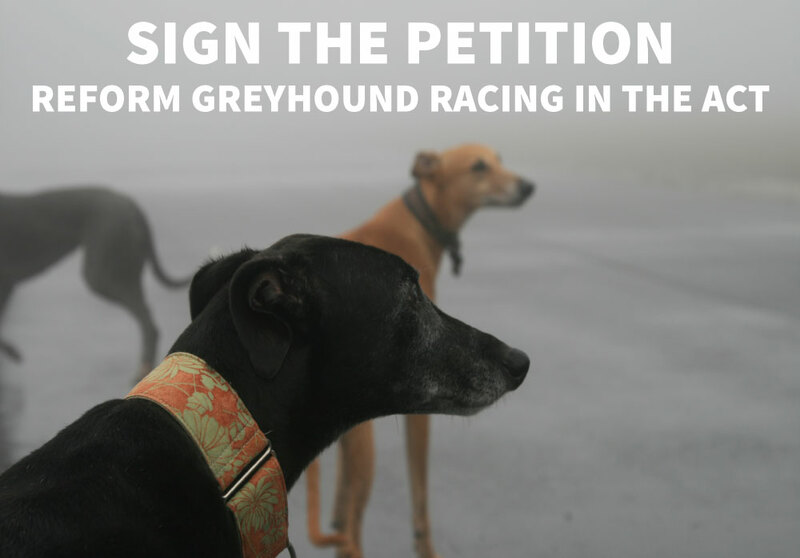 The Environmental Defenders Office - ACT Presents this petition to call for proactive reforms of the Greyhound Racing industry in the ACT, to protect all animals impacted and ensure integrity amongst participants. 1. To toughen laws and Penalties under the Animal Welfare Act 1992 for offences involving the blooding of greyhounds, including live baiting. Noting that penalties for blooding or coursing are significantly higher in Victoria, New South Wales and Queensland, all states where these offences have occurred. 2. To strengthen compliance monitoring of training and potential blooding of greyhounds that race within the ACT. Noting that the vast majority of greyhounds that race within the ACT are trained in the three States where live baiting has been discovered. The introduction of harsh penalties on those who are successfully exposing the exploitation and mistreatment of animals, such as those that have been used in the blooding of greyhounds. EDO ACT believes these laws would leave animals at risk. 4. To consider an end to greyhound racing in the ACT. The unearthing of live baiting practices in the Greyhound industry adds to significant issues endemic to the industry, including high prevalence of injuries to dogs, euthanasia rates and its relationship to gambling. The Greyhound racing is harmful for all animals involved, both for the dogs exploited by the industry, as well as animals used in blooding and coursing training.